Stannard, Vermont was originally named Goshen Gore, but was later renamed “Stannard” to honor Civil War General George Stannard. This rural northeastern Vermont town is the home of Stannard Mountain. A dirt road connects Stannard to Lyndonville, Vermont. The town is home to less than 200 people. 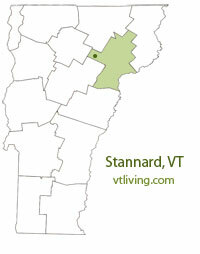 To share any Stannard, VT information, contact us. Learn more about advertising in VTLiving.